Rockwool insulation is used to keep the home temperature under control in colder countries and it has an immense necessity to keep the home warm. Traditionally polyurethane insulation is used in the households to insulate it. However, the more advanced technology involves the insulation provided by a fluffy and woolly material made from rocks, namely rockwool insulation. Although the main requirement of using insulation is to maintain the temperature of the house, it also helps in reducing the noise in the house, and also to save energy, as using rockwool insulation means no need to use room heaters or similar equipment that consumes electricity. Not only to insulate the houses or office buildings, rockwool insulation is also used for various other purposes like building construction, automotive applications and industrial plants. 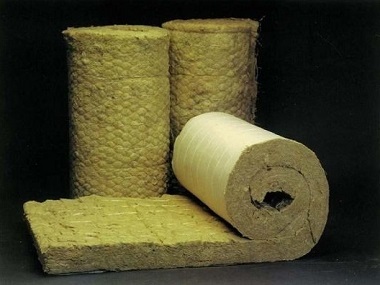 How Is Rockwool Insulation Made? For making this product, all the raw materials and minerals are heated together at about a temperature of 1600° C or 2910° F. This is a done inside a furnace where a steam or air of current is blown on the minerals and other raw materials. This is however a very basic technique. There is another better or advanced way of making Rockwool and that is by spinning molten rock in a rotating wheel at a high speed. Thus the molten rock becomes a mass of intertwined fibres and these fibres are very fine threads that are bound with each other with the help of starch. As this process involves dust formation in the process, oil is added in the procedure. The process of rockwool production is very similar to that of think pink aerolite insulation. Why Rockwool Insulation Is Considered A Good Product? Whereas the individual fibres are considered to be very good conductor of heat, the sheets or rolls are on the other hand very good for blocking the transfer of heat. As these fibres have a very high melting point, they are spread in buildings, to prevent fire. It reduces the electricity consumption caused by the usage of other heating equipment. Not only that, research has proved that material causes absolutely no harm to health. Like other heating or insulator agents, this insulating system does not cause cancer or any other threat to the respiratory organs. What Are The Benefits That You Will Get From Using Rockwool Insulation? As the Rockwool system is made from rock fibres, it is not at all combustible and therefore can work as a shield to resist fire. That means that while one is making a building and using this product as its insulating system, it will automatically receive a protection from fire. And thus there will be no other need to have a firewall. Not only this, the Rockwool insulation has a better acoustic value than the plastic systems. The other most important benefit of rockwool is that as it is made from volcanic rock, it is much more durable than the other traditional insulating systems. Although it is made from rock, it is not hard and can easily fit into any construction. All these benefits make this one of the best insulation products.